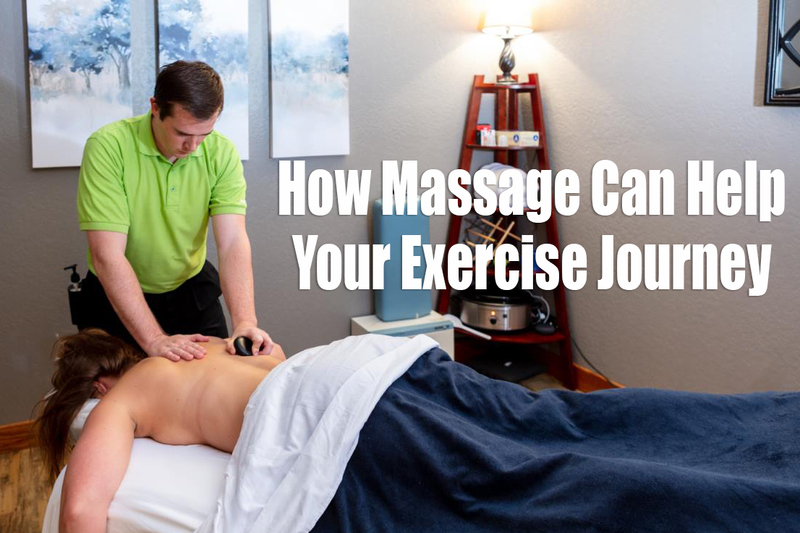 How adding massage to your exercise regimen can help you stay pain free… and help improve your results! Massage isn’t just for super relaxation – it can also help that scale move! For many people, one of their New Year’s resolutions is to get healthier and shed a few pounds. Taking on the gym, though, can have a huge effect on your body (sometimes in ways that don’t feel all that great). It can help the pain of sore muscles! Nobody likes that day after a really hard workout where it feels like you can’t move. Your muscles are super tense, and every movement feels like some form of torture. Getting a massage as some post-workout care means your muscles get a chance to loosen up, allowing you to recover more easily (and less painfully!). It helps you get in the right mindset! Getting all amped up on pre-workout and protein is great and all… until you’re ready to crash from the exhaustion. Constantly pushing yourself to the max (no matter what anyone says) is NOT good for your health. Your mental health ties in directly to your physical health and receiving calming massages can help you relieve the stress build-up. It’ll help with flexibility! Keeping your muscles workable is crucial for your workouts. For many people, as you do more and more workouts, you have to build on your flexibility to be able to do more extensive workouts. Whether you use massage as a way to unwind after an intense workout, or to boost flexibility for future exercising, knowing what your body needs to flourish is important. Every body is different in what it needs, and you know your body best. If you’d like to set up a massage with one of our experienced massage therapists, please call 417-886-1131.